My research interests lie at the intersection of social and ecological systems, addressing marine policy and fisheries science questions through application of economic theory and quantitative models. 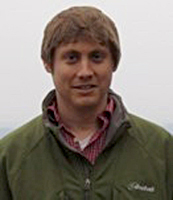 Current areas of research include: valuation and behavioral analyses of recreational fisheries; investigating the economic effects of derelict fishing gear; evaluating the impacts of resource variability on commercial fishing fleets; and analyzing joint production and selectivity in multispecies fisheries. If you are interested in an interdisciplinary approach to marine resource management and conservation, have a strong quantitative or mathematical background, and enjoy working on relevant and complex policy problems, [[v|scheld,send me an email]] and include a current CV.